Many aspects of life are largely affected by the weather, such as sports. During extreme weather conditions, athletes or players may not be able to fully exploit their potential, especially in extreme hot and cold weather conditions. However, with the advancement in technology, several measures have been put in place to enhance the comfort of the players. Adidas, one of the largest known manufacturers in cloth ware has been able to manufacture and retail cloth ware such as Climacool and Climalite to enhance comfort in extreme weather conditions. 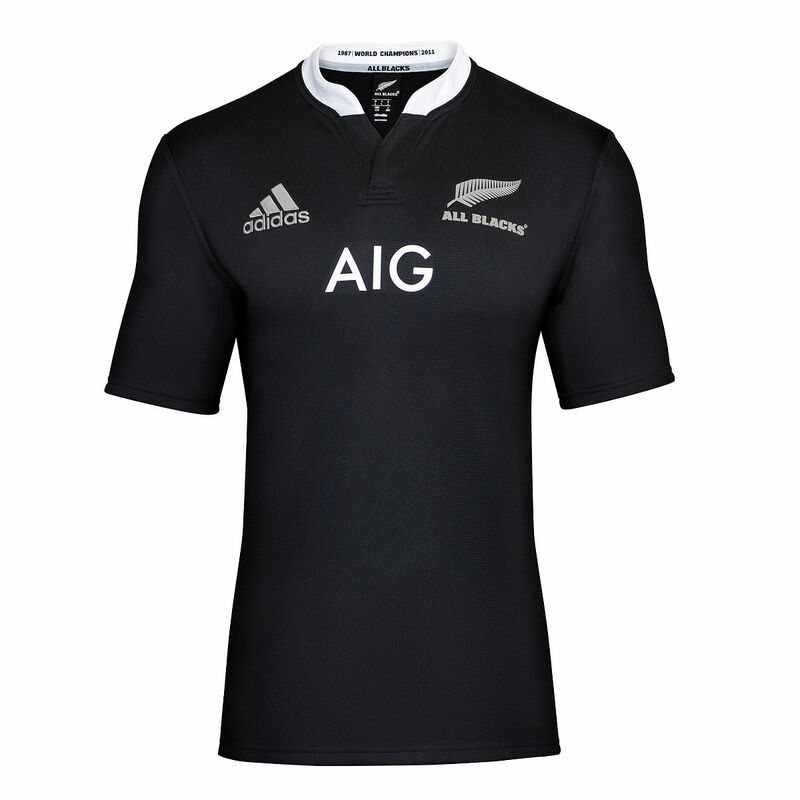 Designed and retailed by Adidas, this is a fabric specially designed to drain away liquid sweat from the body when training. The fabric used on the outer layer is cotton, while the synthetic cool-to-the-touch fabric is layered underneath, hence the softer feel. Some fabrics may also be layered with a hydrophilic coating to enhance the sweat pulling mechanism. It is commonly used in athletics especially in extremely hot weather. It is incorporated into many types of clothing such as shoes, shirts, and pants not to mention sports bras. This is a technology used by Adidas, designed to provide moisture control and ventilation to athletes, while also allowing for breathability around the foot. It has been incorporated into shoes, sports bras, pants, shirts, and even shorts. To keep away moisture and allow the fabric to breathe, Climacool uses engineering material, which allows for micro-ventilation. While Climalite cools the body by draining away liquid sweat from the body, Climacool works by providing moisture control and ventilation to athletes. Climalite uses cotton on the outer layer, while the synthetic cool-to-the-touch fabric is layered underneath, hence the softer feel. Some fabrics may also be layered with a hydrophilic coating to enhance the sweat pulling mechanism. On the other hand, climacool uses engineering material, which allows for micro-ventilation. 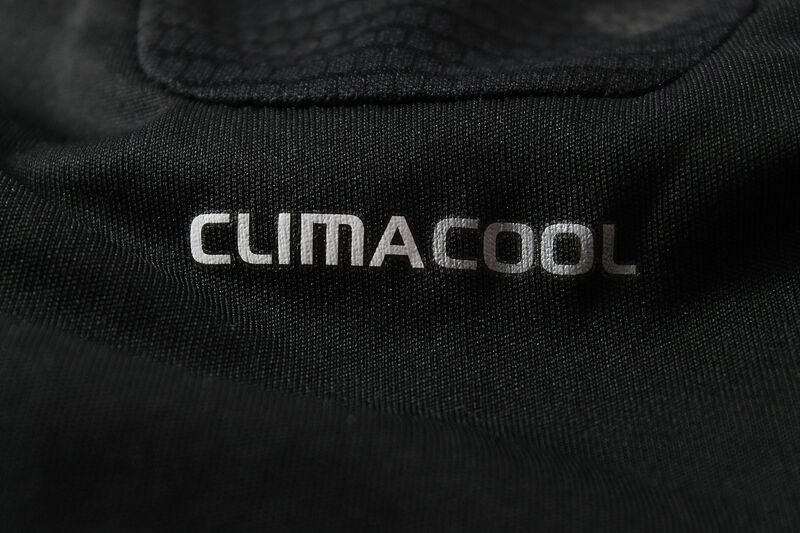 Both climalite and climacool are important aspects in the athletic activities. Despite the fact that they work using a different mechanism, both can be used to cool the body in extreme weather conditions. The choice on whether to use either climalite or climacool is purely a personal choice. Tabitha Njogu. "Difference Between Climalite and Climacool." DifferenceBetween.net. 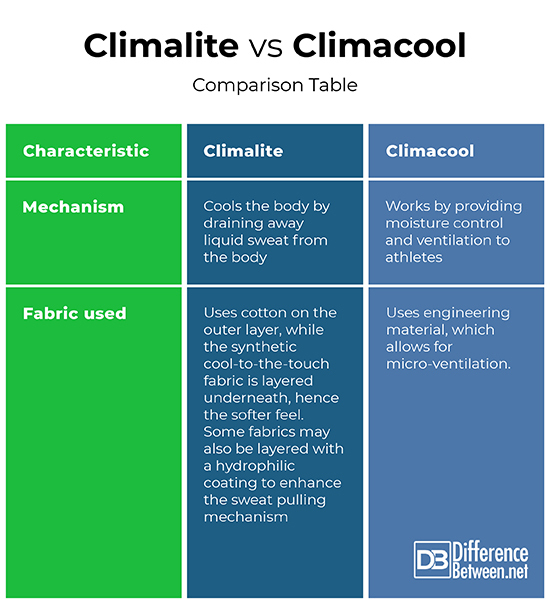 March 18, 2019 < http://www.differencebetween.net/business/difference-between-climalite-and-climacool/ >.